As a company we provide high quality services to our clients and our audience, but we also go that extra mile to put our free flying birds on our list of priorities. As trainers A World of Wings are internationally recognised for excellence and originality. 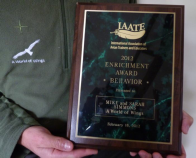 A World of Wings received an award from the International Association of Avian Trainers and Educators in 2012 for the training achievements with Ground Hornbills, Followed by an award in 2013 for work in Training a Bald Eagle. Instead of Birds being trained to perform tricks, it is them who teach us to understand how to build a Relationship built on trust, allowing us into their World. With this amazing Partnership the birds have demonstrated amazing feats of intelligence and soar, glide and climb their way into the eyes and hearts of their audience. The aim of A World of Wings is to promote birds and share them with people of all ages, in many different capacities from Free-Flight bird shows to specially designed interaction programmes and encounters. In addition to public presentation A World of Wings have created a reputation of excellence in the professional bird training and wildlife industry. Our methods and experience can be learnt from as workshops and seminars are now a regular part of our teams yearly agenda. “As a child I was privileged to encounter wildlife of many forms, from domesticated house pets to the tiny birds and mighty elephants at my local zoo. It was these encounters that created my passion for the animals we share our planet with and its these encounters I strive to create for others to witness too”. Aside from from the presentation services offered to leisure and tourism facility's in the UK, Mike writes for specialist magazines and also runs courses for owners of companion birds. 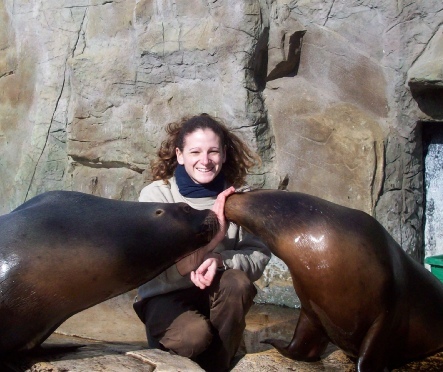 The above said is based on 15 years of professional work within zoological institutions and previous animal training roles. 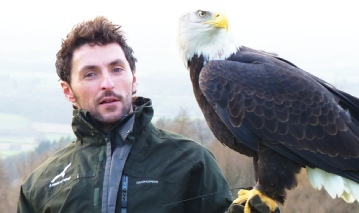 Other evolvements as a LANTRA falconry assessor and a husbandry and welfare consultant to a private breeding facility has lead to Mike presenting his experience in a multitude of fields from the pet industry to conservation centres. Mike is an internationally recognised bird trainer. His passion for his birds is evident in all that he does with them in their training. Mike leads the shows and encounters at A World of Wings. Many of the animals he works with have been with him for years.